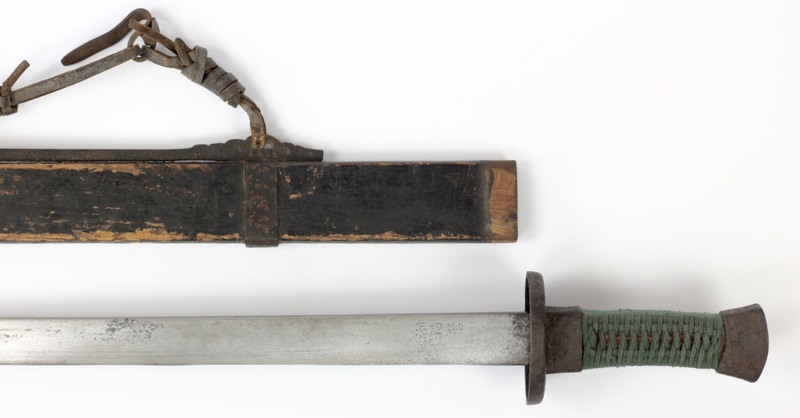 A Chinese saber, probably dating from the late 18th century, complete with its original scabbard. Its blade of rare and earlier yanmaodao or "goose quill saber" form; straight for most its length and then sweeping upwards near the tip. 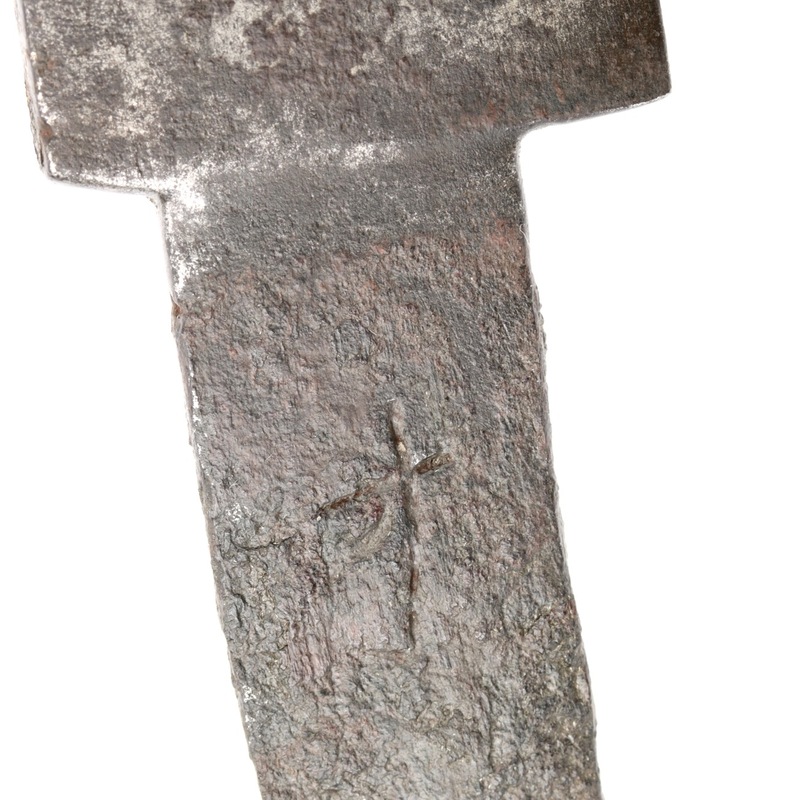 Blade currently not in polish, but a forge folded construction with inserted high-carbon edge exposed at the edge is lightly visible. The forging seems well done and consistent. The blade also exhibits signs of a differential heat treatment that is visible along the edge and point, resulting in darkened areas there. 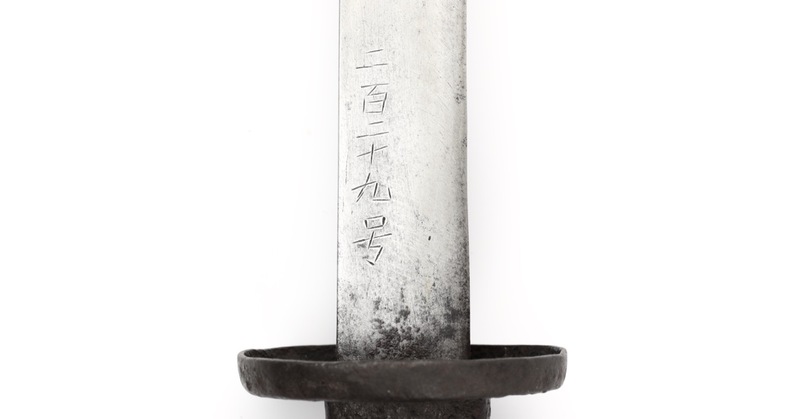 It comes mounted in a set of iron fangshi fittings, only the scabbard throat piece is missing. The fittings are of utilitarian quality, fairly roughly made to shape. 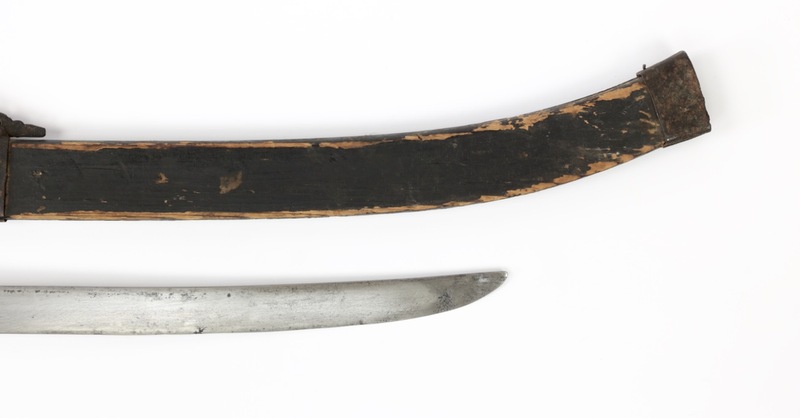 The scabbard of black lacquered wood, with iron fittings. 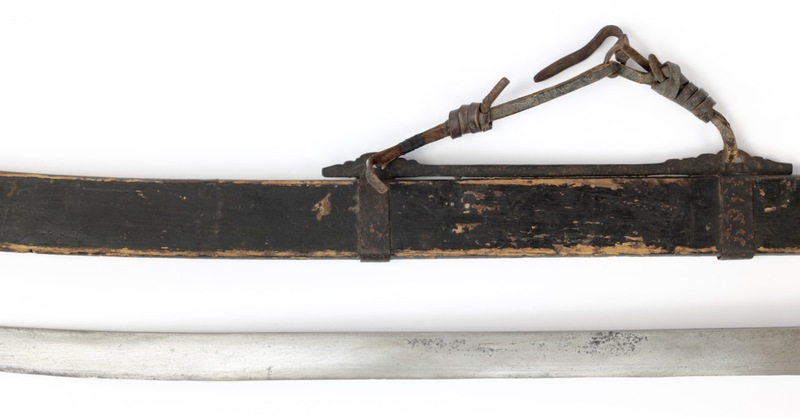 It retains its leather suspension system with belt hook, a rarity on old Chinese sabers. The handle was rotten so I had to replace and re-wrap it. Wrap done with cord of appropriate color and braid, artificially aged. 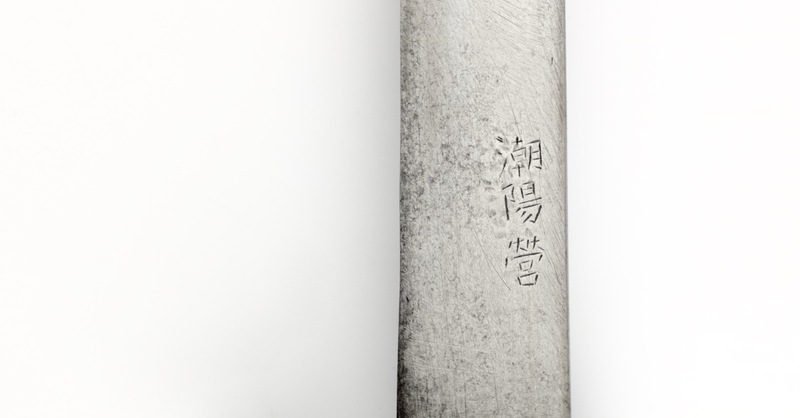 The blade is marked Chaoyang Ying (潮陽營), chiseled on the right side of the forte. Chiseled on the other side of the forte: 二百二十九号, or simply "Number 229". The markings refer to the Chaoyang garrison of the Green Standard Army (綠營) located along the coast of Chaoyang district in Guangdong, just under Shantou. The garrison is mentioned in several Qianlong and Jiaqing period versions of the Regulations and Precedents of Military Equipment.1 From these texts we learn that their sabers were provided to them by the state, and were expected to last 40 years until it could be written off. A major repair could be initiated every 20 years, other repairs and maintenance were to be arranged by the soldier himself. 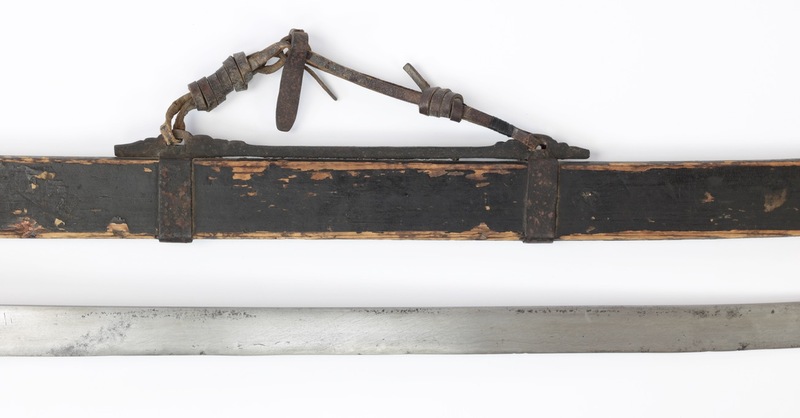 Other equipment, like a "strong bow", were to be sourced by the soldiers themselves. The Chaoyang Ying , somewhat of an elite coastal force, used a wide variety of other weapons, including "fire arrows", cannon, muskets, a great amount of pole-arms and various long sabers that were a legacy of Qi Jiguang's time. 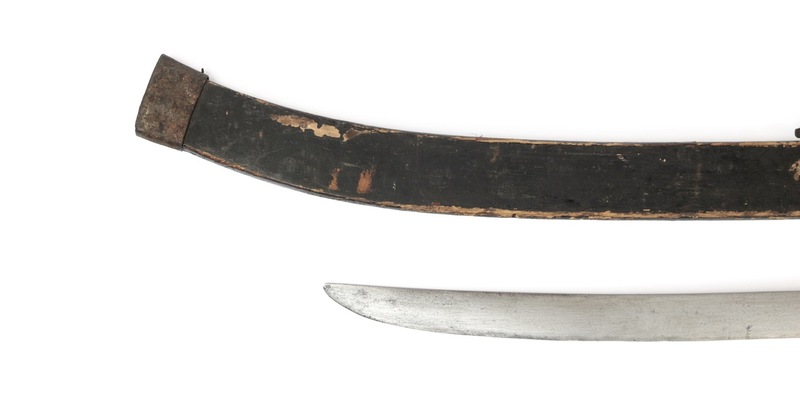 These included the zhanmadao and wodao . See my article on Chinese long sabers for more information about these weapons. 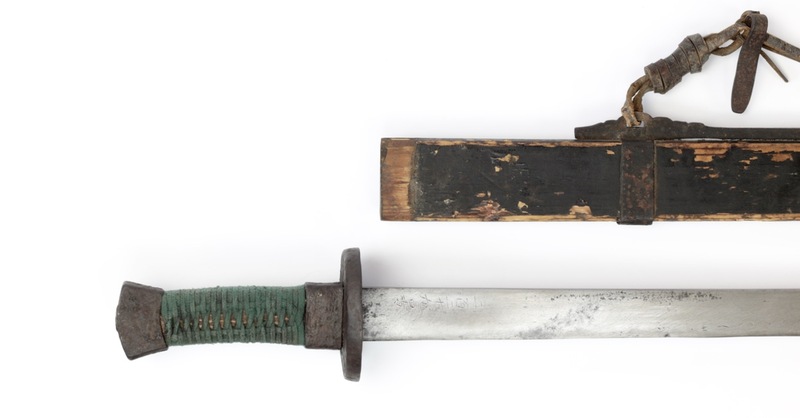 When I had the saber apart for conservation and restoration I noticed a mark on the tang, cai (才) which can be translated as "talent, ability". Because it is on a place where it will never be seen, I think it was probably some kind of proof mark. 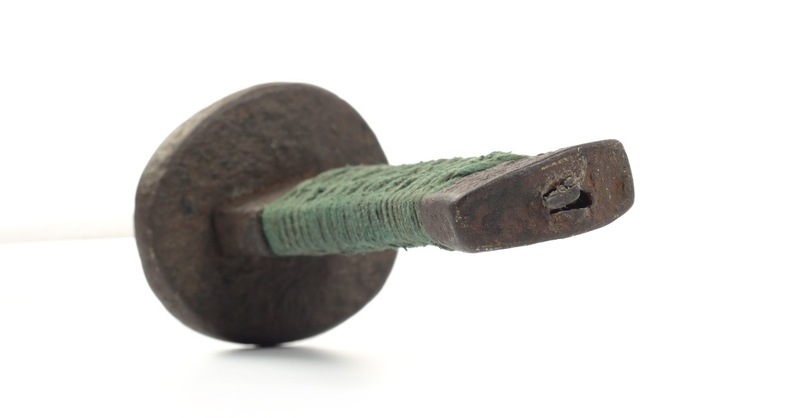 Perhaps tested for its ability to cut. 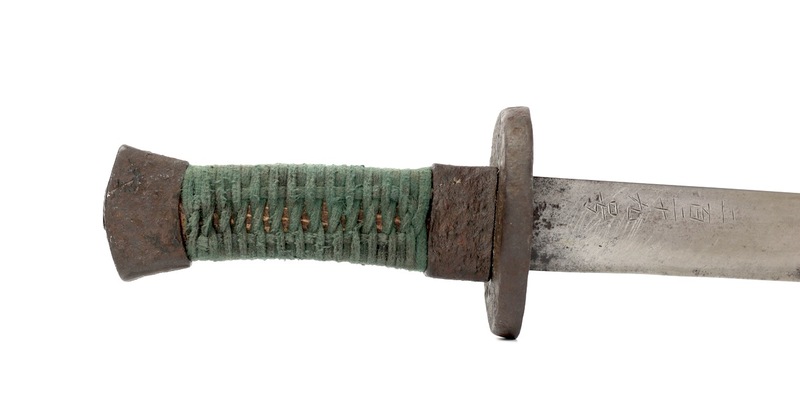 An interesting example of a standard military saber of the Green Standard Army Chaoyang garrisson, dating from around the turn of the 18th century. 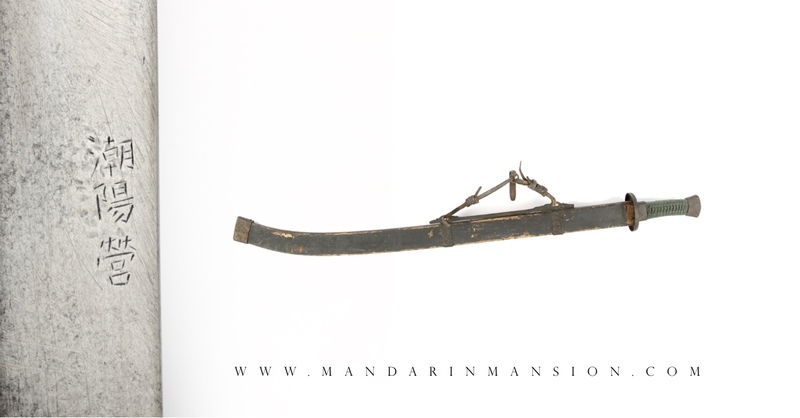 It has a rare yanmaodao blade and iron fittings of the older angular style. 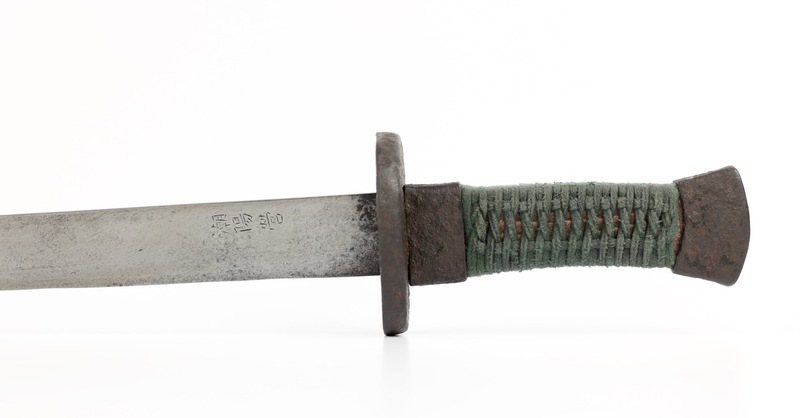 Standard military sabers of this age are very rare because they were not treasured at the time, and mostly officer pieces survived from the era. 1. See Regulations and Precedents on Military Equipment (欽定軍器則例). I consulted the editions of the 56th year of Qianlong (1791), 5th year of Jiaqing (1799) and 19th year of Jiaqing (1815) editions. 2. See Mao Min, Revival Mind (茅民, 复兴记).